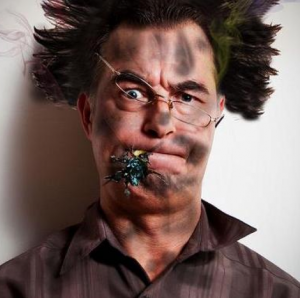 In the last few months there have been many rumors about electronic cigarettes and portable vaporizers “exploding”. If you go online you will stumble upon a small number of consumer reports and news from across the country describing e-cigs exploding, causing fires and injuries. Lets get one thing straight, many of the devices involved are cheap products manufactured in China. According to the reports, it seems like most e-cig explosions occur when the device is being charged. There are a lot of inferior products out there and some of the charging circuitry may be faulty, causing the battery to store more electricity than it can hold. The E-cigarette reaches the charging limit, continues to charge, overheats and shoots parts everywhere. Another explanation for exploding e-cigarettes is people tampering and modifying them. Some end users who want the product to provide longer battery life and higher performance capabilities modify their electronic cigarettes. Unless you know what you are doing, don’t modify e-cigarettes. There are a large number of people in the US building/adapting/modifying e-cigarettes with powerful batteries, sometimes purchased from dubious sources. When someone doesn’t know what he or she is doing, they are at risk of getting hurt. We understand that hearing these stories can be alarming. However, it is important to remember that smoking eventually kills around one in three smokers. If you think about it, a few rare incidents out of the millions of e-cig users in the US is not a bad statistic. All of the incidents happened because of cheap uncertified products and lack of common sense from users. Best advice we can give you is, don’t be cheap, its best to avoid bargain non-reputable e-cigarettes brands. At the end it could cost you more. When looking to buy a vaporizer online there are many important things to consider in the electronic cigarette world. Electronic cigarettes are like any other electronic device. If you buy a quality one it will cost more but the product will be better. It is also important to find a respectable company. E-cigarette companies who have SGS certifications on their products have met or surpassed the necessary stress tests on their products to ensure that they are safe to use for their intended purpose.